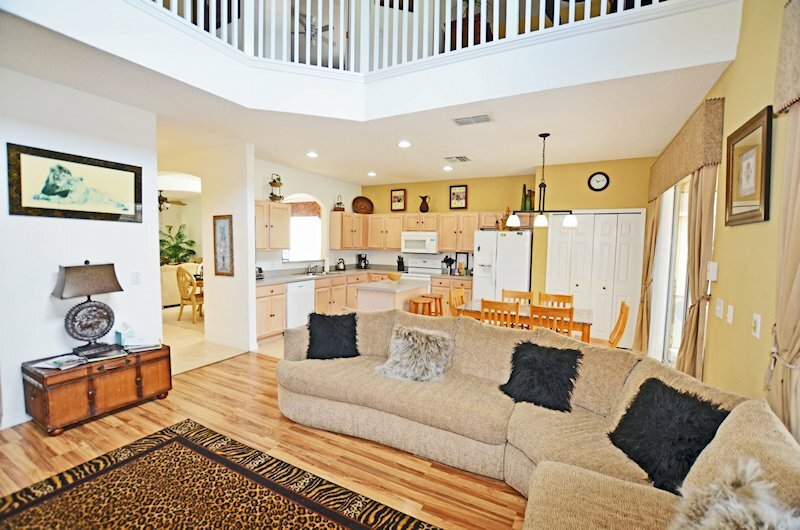 Family Friendly Luxury Home,Close to the Magic! 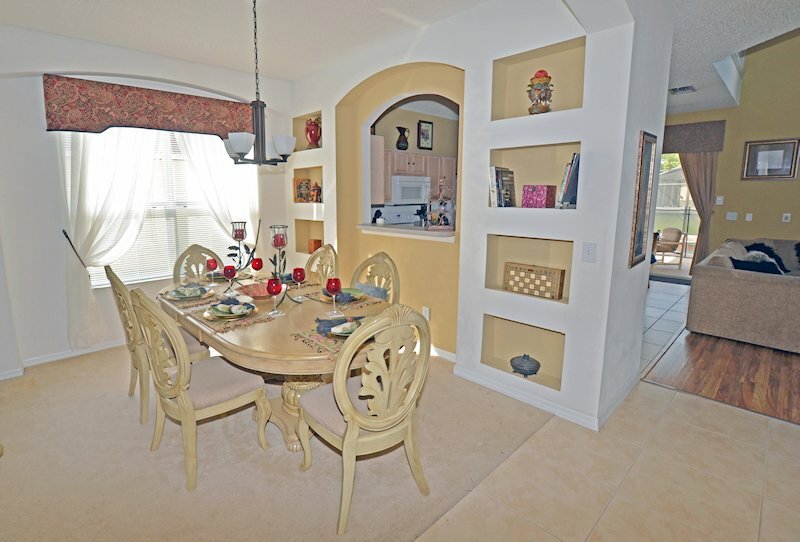 Family Friendly Affordable Luxury Villa on Disney's Doorstep! The Magic starts here! Family Friendly, 6 Bed, 4.5 bath Villa with Oversize South facing Pool and Spa, 3miles to Disney, Gated/ Guarded 24/7 Community . Clubhouse,Tiki Bar,Sauna,Games Room,Fullsize Pool Table,Air Hockey,Foosball, Darts , Arcade. Watch Prism Premium TV( over 200 channels) inc English Premiership Football/NFL/NBA Games LIVE on our 47” Smart TV.Now with HI DEF. Channels! Fully Monitored Alarm System for your security and peace of mind. FREE use of George Foreman BBQ, High Chair, Crib Stroller,Safe. TV DVD all rooms, Nintendo WII, PS2, Bikes.Community Pool,Spa,Tiki Bar,Fitness Room,Volleyball, Tennis Courts, Kiddies Play area, Kids Arcade, Nature Trail. Manned Gate 24/7.Clubhouse , Concierge Service. Less than a 3 miles to the Mouse!! "This house was perfect. beautiful presented when we arrived. spotlessly clean and exactly as described in the advert no exaggeration at all. absolutely everything we needed and lots of things to be honest we hadn't time to make use of. The proximity to the parks is a huge bonus in our opinion. the traffic can be bad especially when everyone is leaving the parks after the fireworks etc. and you can be back home in minutes a real help with tired younger children and exhausted adults. Barry gave us loads of us useful info and was a real help. The emerald island resort was manicured and super safe. We wouldnt dream of booking anything else if we go back Thanks Barry it was great. john lauren and family"
"This villa really is that good. 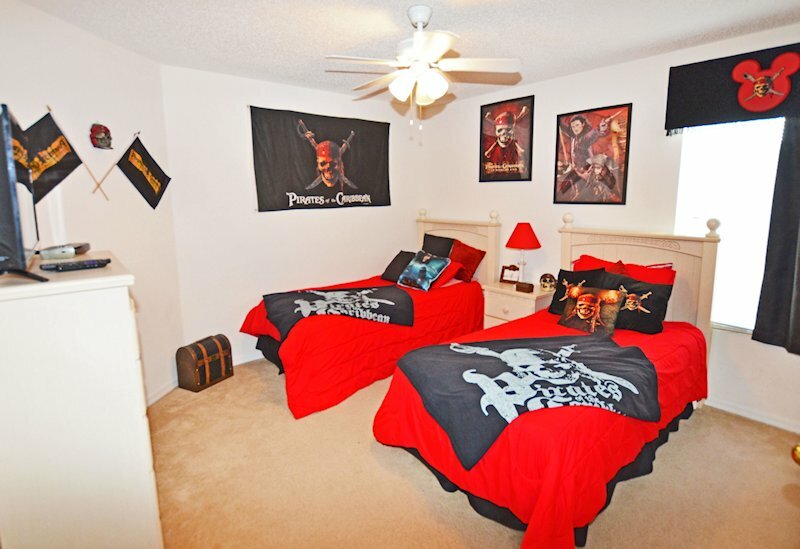 Loads of room, nice pool, games packed garage & themed bedrooms. All 11 of our family enjoyed this from my 1 year old son to his grandparents. 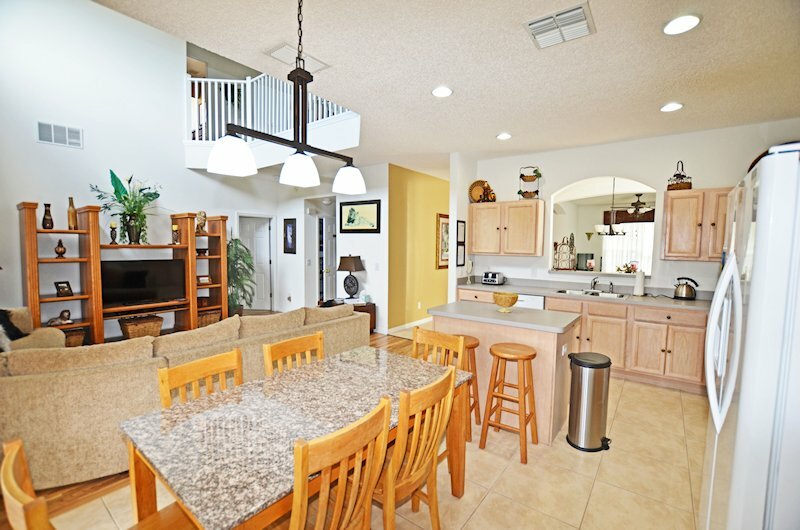 Emerald Island is also a lovely gated community & situated in an ideal place for Disney etc. I couldn't recommend this villa more highly." "We are a family of 12 ranging in ages from 3 to 65 one being disabled, Simbas Pride was wonderful for all our family needs. From our first query to the day of our arrival any queries we had were promptly answered by Barry, which was fantastic as this was the first time we had rented privately. The directions to the villa were excellent and the complimentary welcome pack was great as we arrived late at night. The layout of the villa was brillant as everyone had their privacy, but could all gather together in the spacious living room/kitchen area. 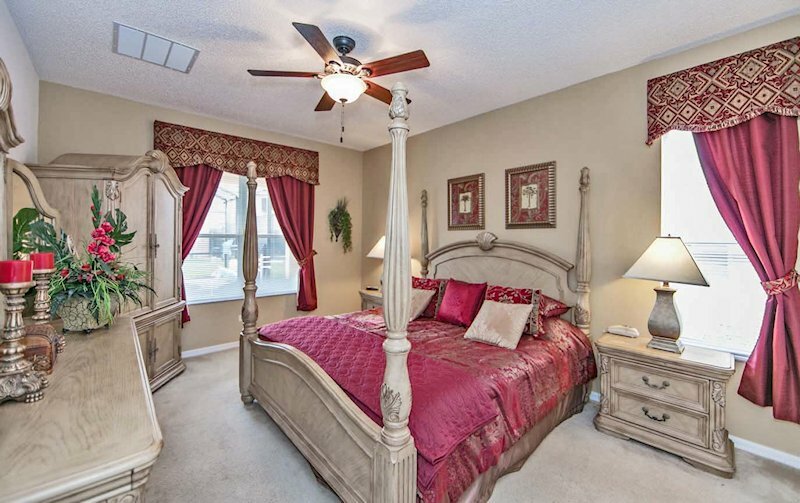 We loved the themes to the twin bedrooms and the master bedrooms were beautiful. The kids loved lazing about playing on the wii and play staion supplied, also competing in the games room and their favourite part of staying at the villa,the pool"
"We have always stayed in luxury hotels/apartments wherever we have stayed on vacation so were over the moon when we discovered this gem for our first ever Villa holiday. What you see in the pictures is exactly what you get, its like a real show home but with the added bonus of feeling homely. Everything you could want as previous visitors have mentioned is at your fingertips. Literally a few minutes drive off the 192, close to the sherbeth road shortcut to all the disney parks and of course all the eating/shopping places of the 192. Loved the layout upstairs, a twin, a separate bathroom, and a large ensuite bedroom to the left, with the other two twins, separate bathroom and another large ensuite to the right, not forgetting the master en-suite downstairs, ideal for spreading out ." "We have just returned from our second visit to Simba’s Pride. 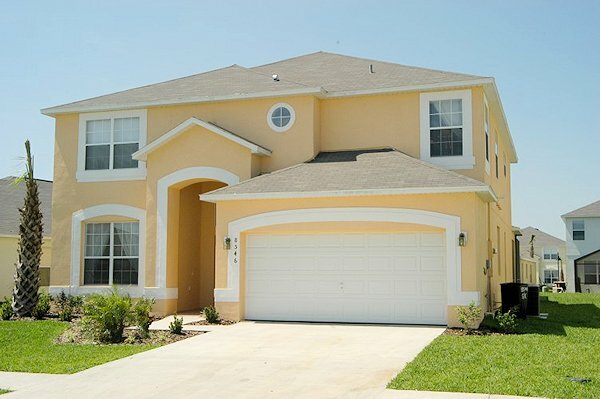 The reason we re-booked is because it would be hard to find a better package anywhere in Central Florida. The home is presented in an immaculate fashion and Barry and his family are accommodating with entry and exit dates. 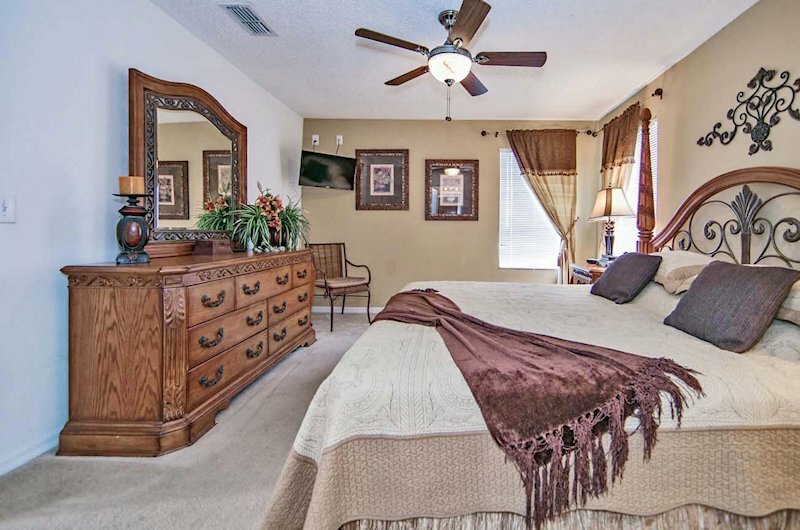 The location is great just of the 192 corridor and the 24 hour staffed and gated community add to your peace of mind. Fixtures and fittings are all present and in a working condition and the pool was cleaned regularly. There is a fantastic TV/Movie package and the house is equipped with Wi-Fi which is super-fast. We must mention the South facing pool. This gets the sun for most of the day(early morning until sunrise) and is brilliant for those days when you just want to chill out and relax." "We have had several family holidays over many years in this area where we have stayed in villas, this one was the best yet!! Everything you could need has been thought of, from every piece of kitchen equipment you may need to the boxes of toys for the younger children, the games room for the older ones, baby equipment, entertainment consoles, TVs, DVDs, the list goes on and I haven't even got outside to the pool area. 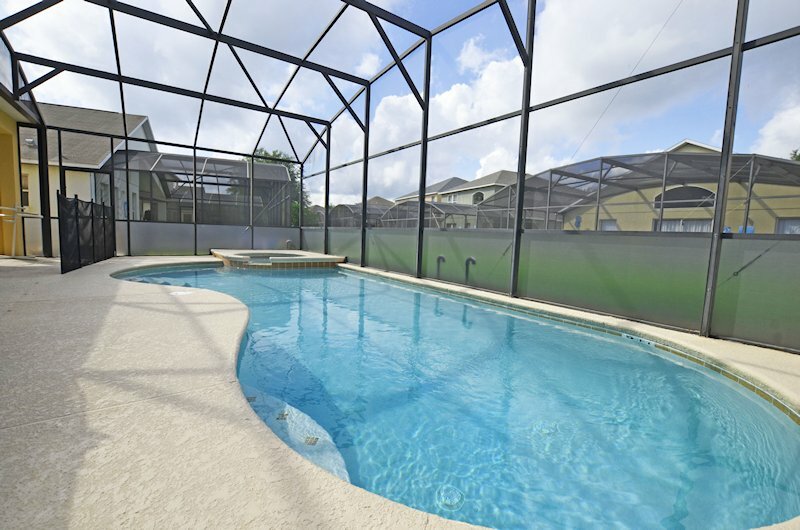 The most well equipped villa we have been in by far, couple this with it's quiet well maintained location and it's proximity to Disneyworld and you will realise that you will have a hard job to beat a stay at Simba's Pride. Well done Barry & all involved. Guest name: Derrick Stone 2016"
"Just returned from a 2 week stay at Simbas Pride, all aspects of the villa were fantastic, well equipped, excellent pool and very spacious. All the bedrooms were a good size, plenty of bathrooms and more towels than you can imagine. The kitchen has every item that you will need for your stay. The outside pool area for us was where we spent most of our time day and night, plenty of sun loungers and seating, great size pool and Jacuzzi. The kids had lots of inflatables to use. The games room is well equipped the kids especially loved the pool table. We were a family of 8 ranging from 60's to teenagers. 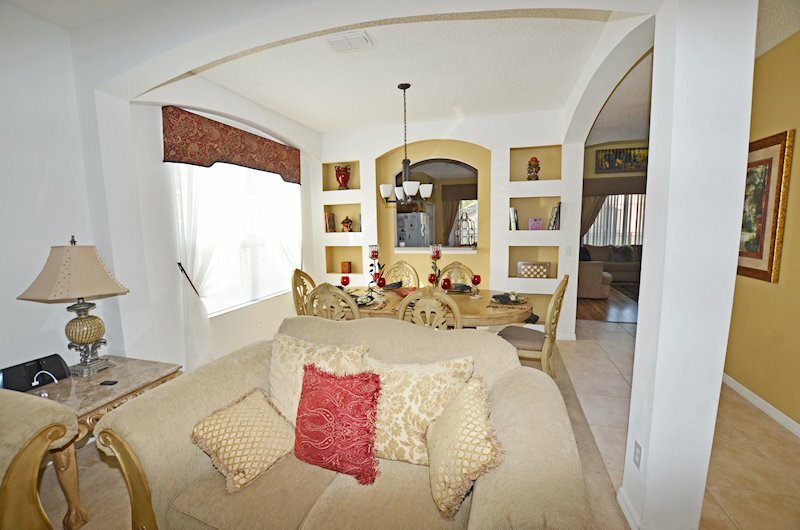 We found the villa excellently situated to all the Disney Parks and shopping etc. We would certainly recommend this and would like to return in the near future. A big thank to Barry and Debbie"
Prices per Week for the Whole House. Pool Heat Extra @£100/$150 Per week. Payment accepted by Direct Bank Transfer to our UK/US Bank.Paypal. Before a booking can be accepted the booking form plus the terms and conditions must be accepted ,completed and signed by the designated party leader. The party leader must be 25 years or older and must take full responsibility for all payments and correspondence. No correspondence will be entered into with any other party member.Dates are not confirmed until the booking deposit is received, and re-opened within 7 days. All bookings are on a first come first serve basis. Return of this form does not constitute a confirmed booking until formal notice issued and deposit received. At peak periods we may only accept Sat to Sat bookings. All bookings are taken solely at the owner’s discretion. Note this property is unsuitable for passover guests due to the high number of electrical items including entry and exit locks&alarms. No spring break parties accepted. Booking deposit ; This is NON RETURNABLE and this must be paid before a reservation will be held (within 7days ); the balance must be paid in full, ten weeks before the arrival date (the due date of the final payment will be shown on our invoice) . Deposits paid are None transferable to other dates. PAYMENTS: Failure to remit final balance in line with these terms or beyond the due date will result in loss of your dates and you will forfeit the booking deposit and any payments already made.You must inform us if cancelling in line with Cancellation policy(Para 17). NO reminders will be issued or exceptions made,dates will be reopened. Bookings less than 10 weeks in advance must pay the full amount due inc. security deposit. Note that any payments by credit card are subject to a 4% admin charge. Note: any prices quoted which are obvious errors are subject to repricing and not binding. A Full Terms and Conditions will be sent on booking for acceptance and signature. Formal living/ dining room; this quiet and comfortable lounge provides a seating area with ceiling fan,Nintendo WII& games, I pod dock, films,27”Flat Screen Cable T.V The formal dining table seats six. Family Room; this informal living area is open plan to the kitchen and is galleried from above. It is the ideal spot to relax with the family, enjoy the 47” Sony Smart TV with • Prism Premium T.V package now with HI Def channels• or a DVD. The patio doors give an ideal view of the pool & deck area. Master bedroom; a king size four poster is the centre piece of this luxury room which over looks the pool area. Ceiling fan,32” HDTV, DVD and phone are provided. An en suite master bathroom has his/ hers vanity unit, garden tub, separate walk in shower and w.c.
Half bath; with wash basin and w.c.
Master bedroom: with King bed, ceiling fan, 20”Flat Screen cable T.V , leading to the En- suite bathroom, with vanity unit, bath with shower over and w.c.
Master bedroom; with queen bed, ceiling fan,20”Flat screen cable T.V . The next door bathroom has vanity unit, bath with shower over and w.c.
”Yo! Ho! Yo! Ho! a pirates life for Me! 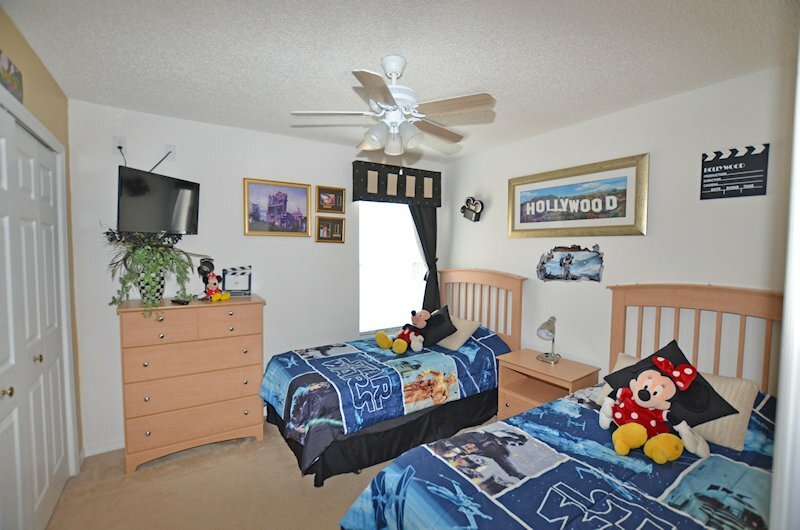 Hollywood Studios twin: film themed room with twin beds for our older kids, Ceiling fan,flat screen cable T.V are provided. Pool and spa; the pool area is screened. An 8ft wide lanai spans the back of the villa to provide shade with ceiling fan above. There are table and chairs so that you may enjoy a poolside snack or drink. You may prefer to sunbathe on the 8 loungers or relax in the spa. The 30 ft pool and extended deck provide ample space for the children to play, splash and go wild! At night the coloured pool lighting creates a relaxing ambiance.Child safety fence for added security. Kitchen is fully equipped. You won't miss a thing! Games room has bycicles and strollers free to use! Laundry room; with washer, dryer and ironing facilities. 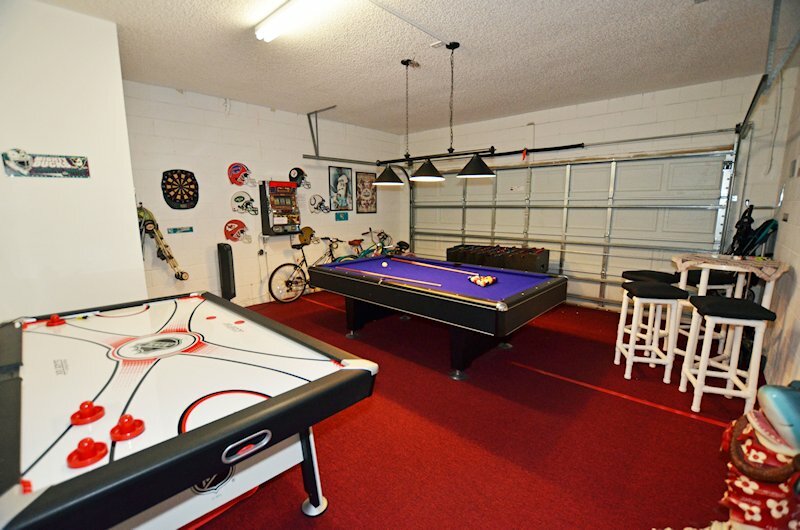 Games room/ garage; the kids can escape from the adults, though they too may want to play pool,darts, air hockey & foosball.Try to hit the jackpot on our poker machine! Loft area; with sofa bed, Satellite TV/DVD, Films ,desktop& laptop PCs with FREE BROADBAND WIRELESS internet access.